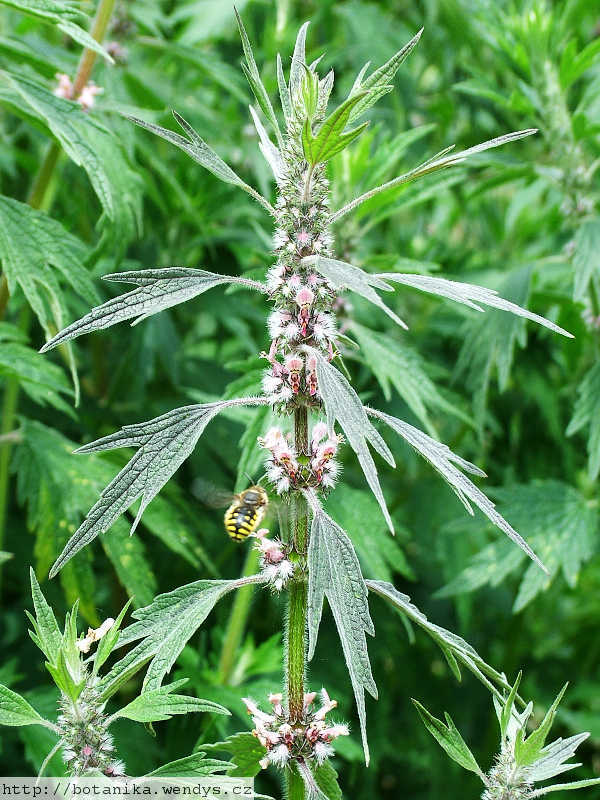 Motherwort is especially valuable in the treatment of female weaknesses and disorders, allaying nervous irritability, inducing quiet and passivity of the whole nervous system. It is also seen as a remedy for heart palpitations, it has a strengthening effect, especially on a weak heart. The antispasmodic and sedative effects promote relaxation rather than drowsiness. The leaves are antispasmodic, astringent, cardiac, diaphoretic, emmenagogue, nervine, sedative, stomachic, tonic and uterine stimulant. They are taken internally in the treatment of heart complaints (notably palpitations) and problems associated with menstruation, childbirth and menopause, especially of nervous origin. Although an infusion can be used, the taste is so bitter that the plant is usually made into a conserve or syrup. An alcoholic extract is said to possess superior action to valerian (Valeriana officinalis). The plant has been found effective in the treatment of functional heart complaints due to autonomic imbalance, and also as an anti-thyroid treatment, though it needs to be taken for several months for these effects to be noticed. 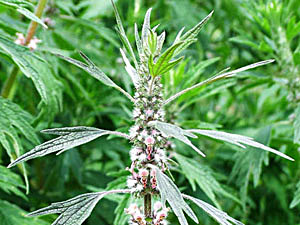 The whole herb is harvested in August when in flower and can be dried for later use. It should not be prescribed in the earlier stages of pregnancy or where periods are heavy. A homeopathic remedy is made from the plant. It is used in the treatment of heart complaints, amenorrhoea, menopausal problems and flatulence. Hedge banks, waste places etc, usually on gravelly or calcareous soils. The fresh or dried flowers can be used as a flavouring in soups, particularly lentil or split pea. They are also used as a flavouring in beer. Fresh or dried flowers can be used to make a tea. A dark olive-green dye is obtained from the leaves. Seed - sow spring in a cold frame. Prick out the seedlings into individual pots when they are large enough to handle and plant them out in the summer. If you have sufficient seed then it can be sown in an outdoor seedbed, or even in situ. Division in spring or autumn. Larger clumps can be replanted direct into their permanent positions, though it is best to pot up smaller clumps and grow them on in a cold frame until they are rooting well. Plant them out in the spring. Skin contact with this plant can cause dermatitis in susceptible people. The fragrant essential oil can cause photosensitization. Grazing animals can have their mouths injured by the sharp teeth of the calyces.